Peter Doyle is a geologist and military historian who specialises in the understanding of military terrain, with reference to the two world wars. Based at London South Bank University, he is also an author specialising in the British experience of war, and the material culture of war. A member of the British Commission of Military History, and secretary of the Parliamentary All Party War Heritage Group, he is the author of many works of military history and the material culture of warfare. A regular keynote speaker, he is an occasional visiting lecturer at the US Military Academy, West Point (2007, 2014). The Great War. Perceived as a static war, a conflict of parallel trench lines facing one another across a piece of disputed earth known to all as ‘No Man’s Land’. The trench war commenced in earnest late on in 1914, and continued almost unbroken until the spring of 1918. While trenches were nothing new, a centuries-old technique of siege, the descent into trench warfare was unexpected. If the trenches of 1914 were intended to do little more than hold the invader, they soon became an over-riding obsession. Siege conditions developed that were difficult to break by the power of an infantry assault, and new and ever-more ingenious means of breaking the lines were planned and developed – some derived from ancient techniques, others more inventive. With military engineers pitted against artillerymen, trenches and artillery pieces became ever more sophisticated. Science had its roll to play in this siege war – as it had for centuries – and it was true that the most successful military commanders had the most sophisticated understanding of terrain. As the trench lines snaked across Europe they cut through varied terrain. Every aspect of the ground conditions had a material affect on the war, from the health and well being of the men, the ability of the trenches to protect their occupants and stop attacks, and the capability of the trenches to aid in the assault. With the enduring imagery of the war presenting men mired in seemingly bottomless mud, facing hills, ridges and high ground to be taken at all cost, the significance of geology to its outcome was stark. 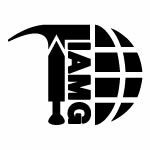 To assist in this war, military engineers enlisted geologists – who helped drain the trenches, to map out and combat the diversity of unsuitable ground, design and build dug-outs and pill-boxes; supply water and other resources; and to improve the lot of the frontline soldier. Not surprisingly, geology had a significant role in this defensive war; but arguably it had an even greater one in planning the offence, influencing the effects of artillery fire, naturally, but also in providing a means of undermining the enemy, of controlling the flow of poisonous gas, or in permitting the use of tanks. 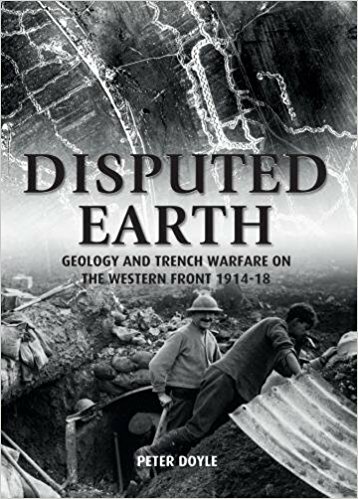 A new book Disputed Earth: Geology and Trench Warfare on the Western Front 1914–18 (Uniform Press, 2017, ISBN 978-1-910500-87-3, £25) takes examples of the significance of the science to the outcome of the war in British sector in Flanders and northern France, considering the material contribution of geology and geologists to the establishment, and ultimately, breaking of, the trench lines.